Whether you are an employee, a teacher, or a student, self-evaluation plays a vital role in the growth and development of an individual. 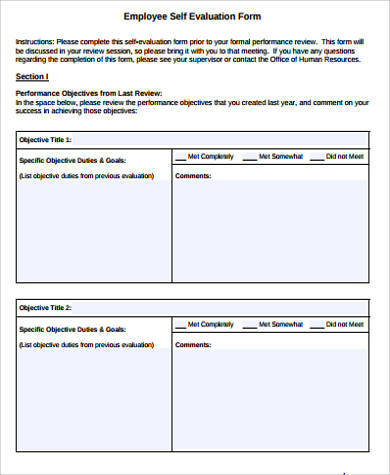 Self-evaluation lets an individual reflect on the learning that he/she has achieved in a given period of time. It can be a great opportunity when it comes to discovering a person’s interest, skills, talents, and abilities. It can also help determine when it comes to setting goals. 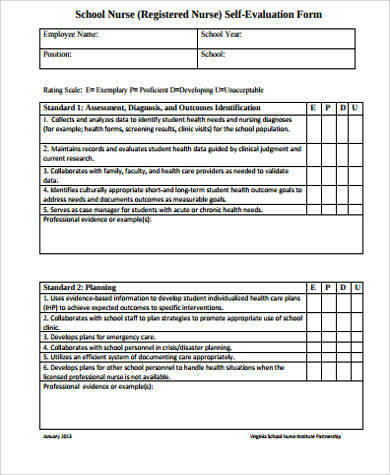 These Sample Forms demonstrate a variety of self-evaluation forms ranging from employee self-evaluation forms to teacher self-evaluation forms. 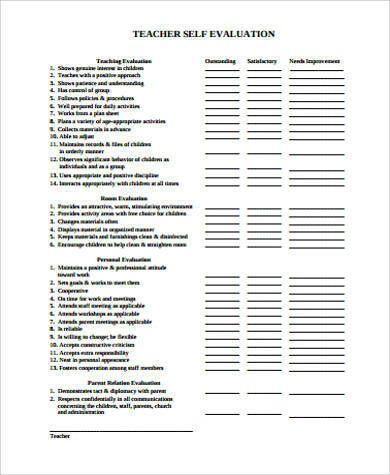 These templates are in PDF format and are readily available for download and printing. These will serve as your guideline when it comes to self-evaluation. A well-answered self-evaluation is a reliable method of gathering information because answers are directly provided by the individual. It gives a well-rounded and brief explanation why employees or students are doing excellent when it comes to work or academics. the individual is accountable for his/her learning, attainments, improvements, and failures. 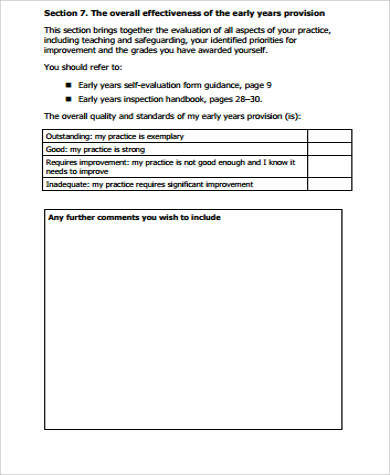 Self-evaluation has now become a great alternative to the traditional means of evaluation especially in a workplace setting where there is a large number of people who need evaluation. In this setting, it creates an opportunity for the employees to reflect on what has been gained and what needs improvement. 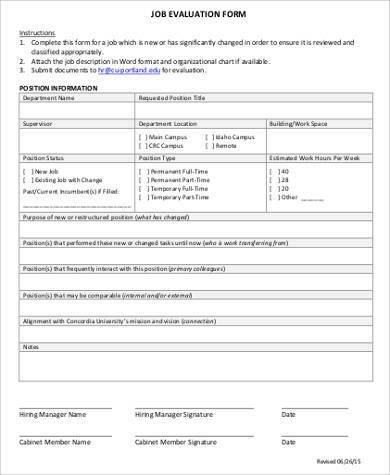 This becomes a tool for employers to communicate with their employees and have a perspective of what he/she thinks about the work environment. It also gives a perspective of what actions should be taken if ever the need for improvements arise. 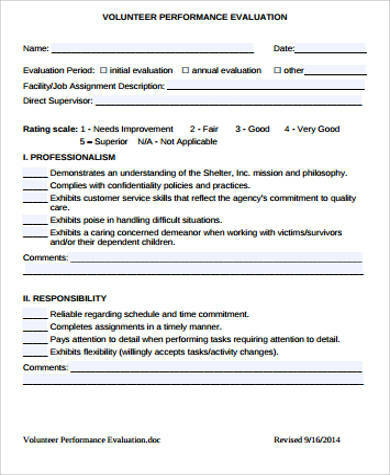 You may also refer to Sample Employee Self Evaluation Forms and Self Performance Evaluation Samples. Self-evaluation is important when it comes to continuous self-improvement. It helps an individual enhance his/her performance may it be related to work, school, or sports. 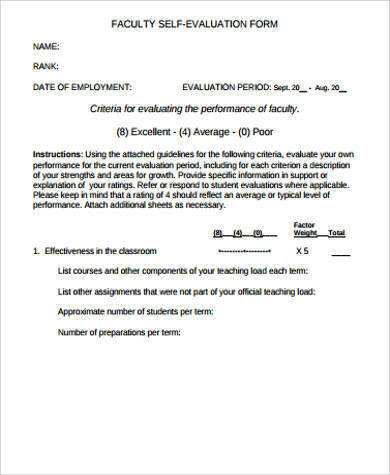 This type of evaluation helps to foster a healthier discussion and environment for students and employees because they give the feeling of empowerment and it makes them feel valued. Another thing about self-evaluation is it gives an opportunity for an individual to give himself/herself a compliment—something that most of us don’t do on a regular basis. 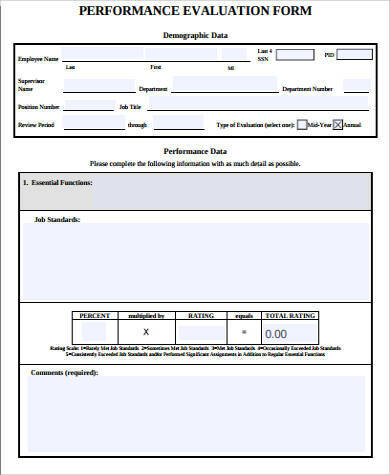 With these form templates available, there is no need to draft one from scratch, which may be a time-consuming task. 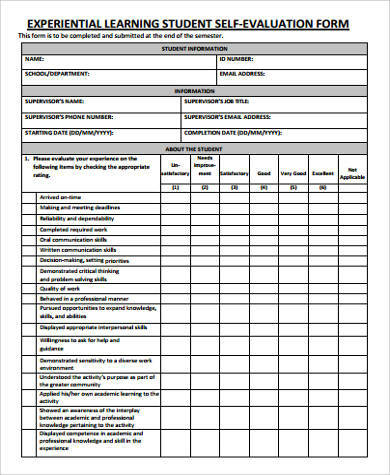 These self-evaluation forms are catered to those who want to assess their improvements or for teachers or employees who wish to let their students or employees assess their performance. It can be beneficial for an easier and more convenient manner of analysis because the forms that will be answered are in the same format. These can be customized depending on your preference. 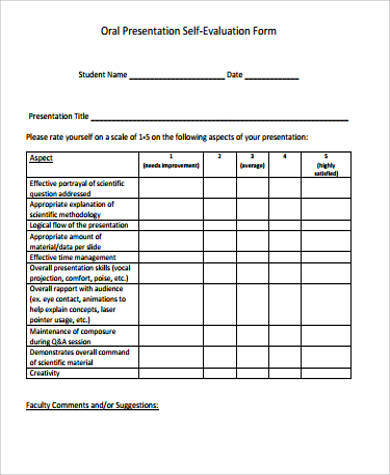 You may also refer to Sample Workshop Evaluation Forms.